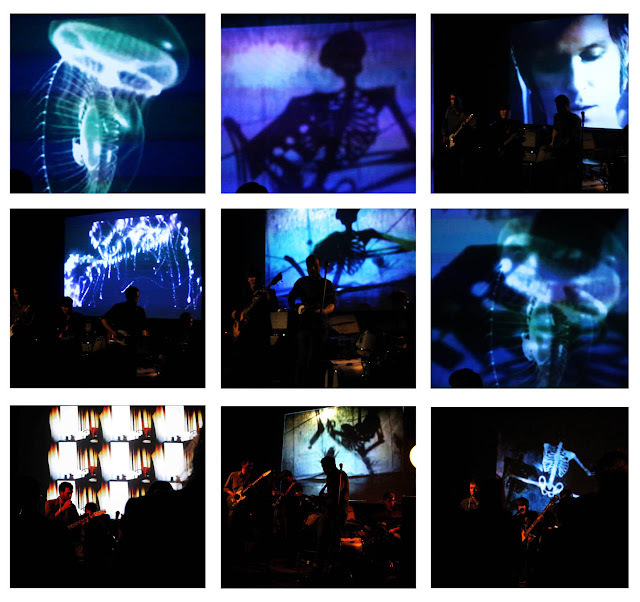 Last night I created some live projections for a band called The Skeletones Four. to their music (lots of skeletons and images that are reminiscent of vertebrae). you to mix and sample images similar to how a DJ might sample music. you to create all sorts of cool effects). It was kind of a cross between live video editing and making music with images.